Saddam Hussein’s missing weapons of mass destruction have been found and are in the hands of an international terrorist group. But which group and where have they stored the gases and toxic waste? And what are their plans for the deadly cargo? An eleven-year-old Filipino girl, Arina Marcos knows the secret. She narrowly escapes assassins sent to kill her and family. And now she is on the run. Hit squads sent to track her down chase her across Asia. Ex Special-Forces soldier Jeff Bradley and CIA agent Kennedy Patton must protect Arina as she leads them in search of Saddam’s weapons. The trail leads to underground laboratories and a mass grave in the Philippines. Tensions heighten when the US Air craft Carrier Independence II is brought into the conflict. Then Bradley discovers the deadly truth and the race is on. He and Kennedy Patton must find the terrorists and the ship carrying the lethal cargo. If they fail the cities of Europe will burn and thousands will die. Former SAS soldier Jeff Bradley thought he had left warzones behind when he inherited a vineyard in rural New Zealand. But now his vineyard manager, Arben Shala, has gone missing in his native Kosovo. An enigmatic message tells Jeff that his friend is in grave danger. Determined to find Arben and bring him home, Jeff travels to Kosovo and finds a lawless state in the grip of criminal gangs. Corrupt officials obscure every lead. With the help of USAID director Morgan Delaney, Jeff delves into the province’s seedy underworld and uncovers a conspiracy of terrifying scale. 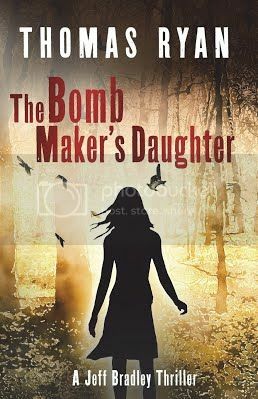 A web of dark connections links the captors with a terrorist bombing campaign across Europe, and now it is no longer just Arben whose survival is at stake. Double-crossed by allies, watched at every turn, can Jeff get to the heart of the conflict before the warlords get to him? USS Ulysses: State-of-the-art nuclear submarine. Deterrent. Target. When an Olympic medalist is the subject of an attempted assassination, former SAS trooper Jeff Bradley knows his past is once again casting a shadow over his new life. A note left by the assassin confirms his suspicions: Bradley made an enemy back in Kosovo, and the man is out for revenge. But Jeff knows the killer is not working alone: higher up the ranks sits Avni Leka, a terrorist warlord who will stop at nothing to achieve his bloody goal. And it’s not just Bradley who is under threat. A hijacking leads him to sense something bigger is being planned—a plot that, if successful, will end thousands of innocent lives, and could light the touchpaper of global conflict. He can’t allow it to happen. But events are spiralling out of control. Bradley knows he must reach the eye of the storm before it tears his world apart. Former Special Forces soldier Jeff Bradley is meeting with the mafia in Bari, Italy, to discover the whereabouts of his nemesis—criminal overlord Avni Leka—when he receives a message from an old friend. Barry is on board a tourist bus that has been hijacked by terrorists near Istanbul. Strapped with explosives, it is racing across Turkey to the northern borders of Syria, Iraq and Iran. The Turkish president will not negotiate. The Turkish military will not allow the bus to cross the border. The hijackers will kill themselves and their hostages if they cannot escape. Jeff knows it’s down to him to rescue his friend. Joining forces with US special agent Reason Johanson, he faces his toughest test yet: a race against time to track down the bus before it reaches the border. Along the way, Jeff uncovers a conspiracy that could not only lead him to those responsible for the hijacking but also threaten global security itself. Will he be able to stop the bus in time? Or will they run out of road? The helicopter swung its light back towards the trio and lit them up like actors on a theatre stage. A voice yelled for them to stop. Arina’s eyes widened as men with rifles ran toward her family. “Hurry, hurry,” she screamed at them. “Arina, run away. We are right behind you,” Sarah called. Sarah and her mother were struggling with her father. The soldiers were getting closer. To her right Arina saw a military jeep racing along the fence line. Arina screamed a warning, but her voice was lost in the din. A soldier standing in the passenger side swung a swivel gun toward them and fired. Erupting dirt followed the flashes of light. Her Papa held his hands in the air and shouted at the soldiers not to shoot. Her Mama held onto her Papa’s arm and Sarah’s hand. Soldiers yelled more orders and her mother, father and sister dropped to their knees. The helicopter turned away as the soldiers surrounded them. Arina’s fingers slipped from the wire. She knew what she must do. Find Uncle Felipe. She slung the strap of Sarah’s bag around her neck and ran into the jungle. Spikey plant tendrils tugged at her clothes and scratched her arms. She did not slow until the sounds of violence had faded. 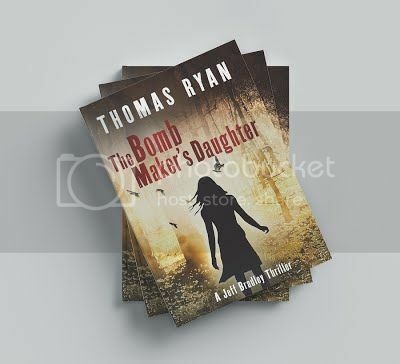 Award-winning novelist Thomas Ryan is the author of the Jeff Bradley series of novels; The Field of Blackbirds, The Mark of Halam, The Ottoman Conspiracy and The Bomb Maker’s Daughter. Thomas Ryan has been a soldier in a theatre of war, trampled the jungles of Asia, and lived through the breakdown and civil unrest of Eastern Europe. Armed with these life experiences Ryan turned to writing thriller novels and short stories. He considers himself a story teller, a creator who has enthusiastically plunged his psyche into the world of creativity and fantasy. With the reader in mind, he weaves colorful characters into the threads of his riveting storylines. Taking readers on a thrilling journey is what motivates Ryan as a writer.